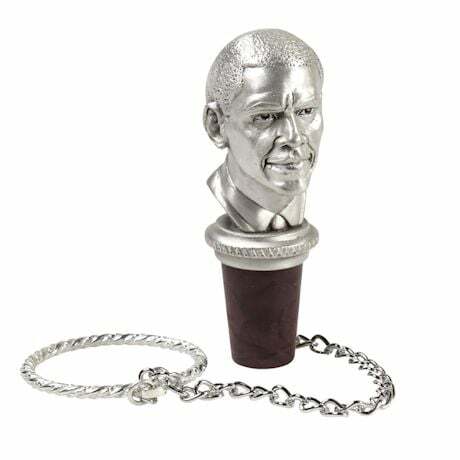 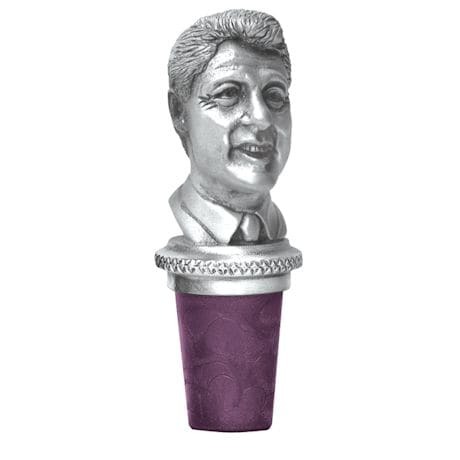 Everyone has their favorite U.S. president, why not flaunt that on your next bottle of wine? 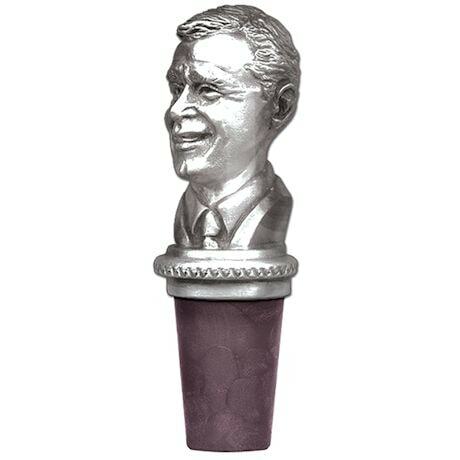 This bottle stopper is cast in solid fine pewter. 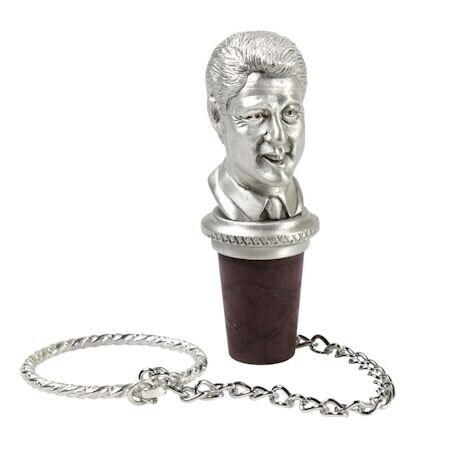 The synthetic cork will not stain or crack. 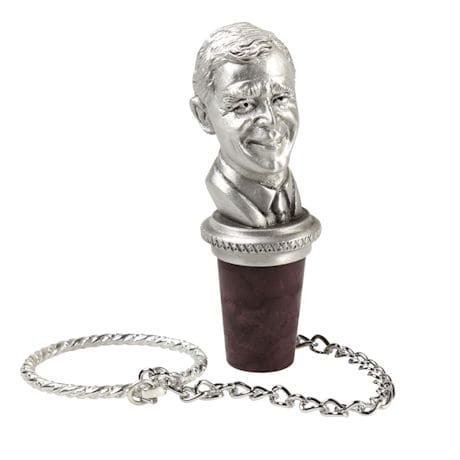 It comes equipped with a chain attached to a ring which goes around the bottle's neck. Made in USA.